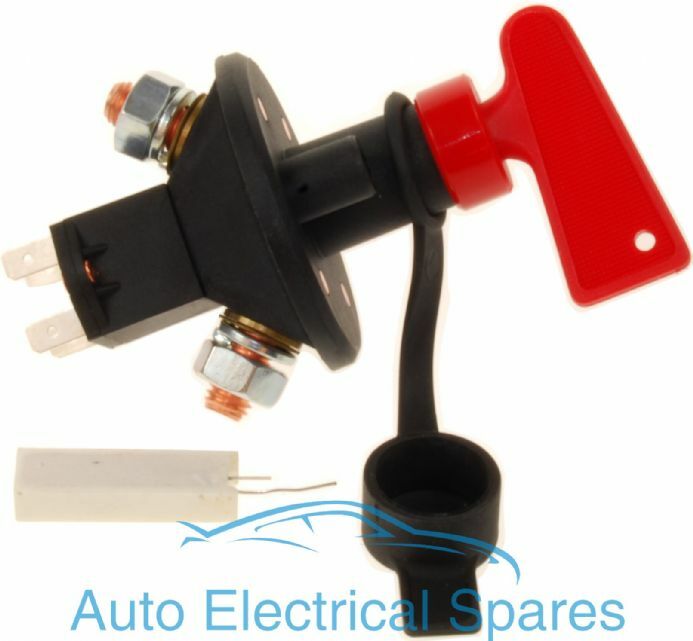 FIA Approved Battery Master Cut Out Switch for RACE RALLY Car . MSA & FIA Compliant . Isolates Battery & Other Circuits . Isolates the battery and prevents engine run on . Suitable for 6,12 and 24 volt applications . Rated up to 100A continuous. Distance between mounting holes 38mm .